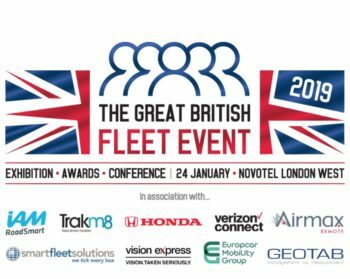 Fleets looking for help with going electric are being urged to attend next week’s Great British Fleet Event to hear from industry experts about how the benefits and challenges involved. The event – which takes place at Novotel London West in Hammersmith on Thursday 24 January 2019 – will feature an Electric Vehicle Masterclass as part of an information-packed conference line-up designed to help with the latest and greatest issues for fleets. Chaired by the BVRLA, the Masterclass will help deal with all fleet queries on deploying EVs, from deployment to charging and everyday operation, and includes talks from EV industry suppliers and advisors as well as those operators at the coalface of running electric vehicles. The Masterclass kicks off with a talk from Tom Callow of charging specialist BP Chargemaster on understanding workplace charging, including outlining the standards, complexities and incentives for plugged-in fleets. He will be followed by Ian Featherstone of the Energy Saving Trust who will talk on the lessons to be learned from electrified fleets and how operators are utilising them. Next up, Sam Clarke, founder and head of business development at EV delivery firm Gnewt, will look at the opportunities and challenges of running EVs. The business runs around 100 electric vans to carry out final-mile delivery services in central London and in 2018 was granted £1.1m government funding to lease 33 electric vehicles to perform last-mile logistics. The session rounds out with a talk from Toby Poston of the BVRLA on understanding the route away from fossil fuels, and what it means for fleets, drawing upon the association’s many and varied experiences of EV operations through its members. The sessions in the Electric Vehicle Masterclass – one of four Masterclasses at the event that also include an Urban Fleet session – will provide attendees with a comprehensive insight into how electric vehicles can be best adopted to drive the eco and economic advantages.